Coating Bed Nets With Antimalarial Drugs To Zap Parasites In Mosquitoes : Goats and Soda Progress against malaria has stalled. Now a team is trying a new tactic. What if, instead of killing mosquitoes that carry malaria, we tried to kill the tiny malaria parasite inside the skeeters before they could pass it on to humans when they bit? That's a question that occurred to Flaminia Catteruccia and Doug Paton; she's a lab head and he's a postdoctoral researcher at the Harvard T.H. Chan School of Public Health. Decades of progress against the disease have stalled in recent years, prompting many to rethink our best tool in the fight – insecticide-treated bed nets. The World Health Organization credits insecticide-treated bed nets with preventing an estimated 1.3 billion cases of malaria and 6.8 million deaths from the disease since the year 2000. But there's concern that mosquitoes are evolving resistance against the one class of insecticide used on the nets — pyrethroids. Many scientists believe the rapid emergence of insecticide resistance could be slowing efforts to eradicate the disease. "There is a consensus in the field that we need new, and varied, tools to continue making progress against malaria," says Samir Bhatt, a scientist who studies malaria epidemiology at Imperial College London. Research published Wednesday in the journal Nature proposes such an approach — kill the parasite that causes malaria while it's inside the mosquito instead of killing the mosquito itself. Catteruccia's lab at Harvard University demonstrated that an antimalarial drug can be transmitted to mosquitoes through brief, direct contact and effectively halt the transmission of the parasite. "This is a really big deal," says Bhatt, who was not involved in the study. "Treated nets aren't the sole answer, but it could be very important. I'm kind of surprised that no one had thought of it before." Pyrethroids are poised to become victims of their own success. Since the turn of the century, over a billion pyrethroid-treated mosquito nets have been distributed around Africa and have proved remarkably effective in reducing malaria rates. Insecticide-treated bed nets are thought by researchers to be responsible for 68 percent of all averted malaria cases since 2000. These nets work so well because the person sleeping is physically protected, but their scent attracts mosquitoes to land on the net. They absorb the insecticide through their legs, and it later kills them. 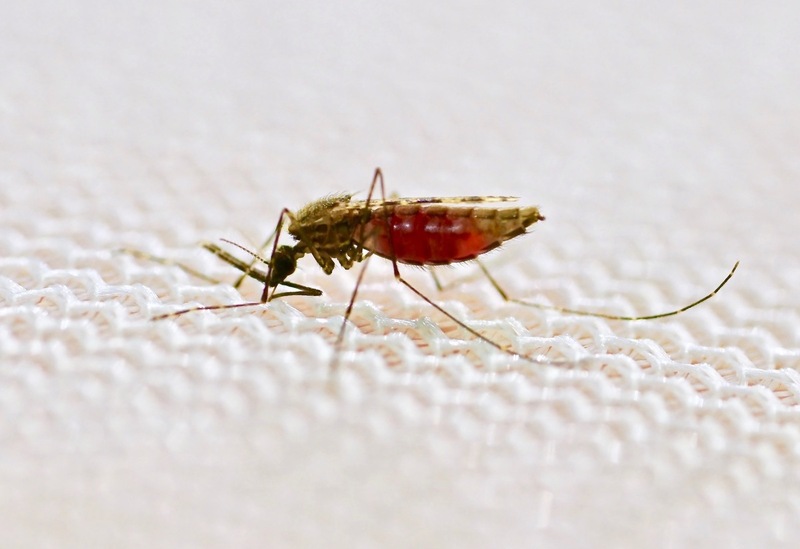 Fewer mosquitoes mean fewer opportunities for malaria transmission. But nature often finds a way around a seemingly powerful human intervention. In the past few years, cases of pyrethroid-resistant mosquitoes have increasingly popped up across Africa. Paton, the postdoctoral researcher at Harvard who co-led the study, says, "Mosquitoes we worked with in the field in Burkina Faso had essentially become immune to pyrethroid concentrations that normally kill mosquitoes." Now, resistance is widespread and present in most populations across Africa. To fight back, "higher and higher pyrethroid concentrations are being used to achieve similar effects," says Catteruccia. This trend is problematic because insecticides are useful only in the narrow sweet spot of being deadly for insects but safe for humans. Higher concentrations may be less safe, according to Paton. Currently, pyrethroids are the only insecticide approved for use in mosquito nets, meaning no ready alternatives are available. The degree to which pyrethroid resistance is responsible for the stalled success of malaria-control strategies is debatable, according to Catteruccia. But the looming issue prompted her lab to explore other options. Instead of experimenting with new chemicals to kill mosquitoes, Catteruccia and Paton considered the other side of the malaria equation: the parasite itself. Malaria is caused by the Plasmodium parasite, a unicellular protozoan that is picked up by a female mosquito that feeds on an infected host, multiplies in her gut and then quickly wriggles its way into human bloodstreams when the mosquito feeds on humans. Antimalarial drugs in humans prevent the disease by stopping the Plasmodium parasite from reproducing in our bodies. While previous work had tried to introduce antimalarial medications to mosquitoes through feeding, these strategies never quite took off. Catteruccia's team wanted to see if the contact mode of transfer that proved so effective in delivering insecticides via bed nets could work for antimalarials too. The researchers coated a petri dish with atovaquone, an antimalarial drug commonly used in humans that disrupts the parasite's mitochondria. Mosquitoes frequently landed on the treated surface for approximately six minutes and then were fed a blood meal rife with the malaria parasite. 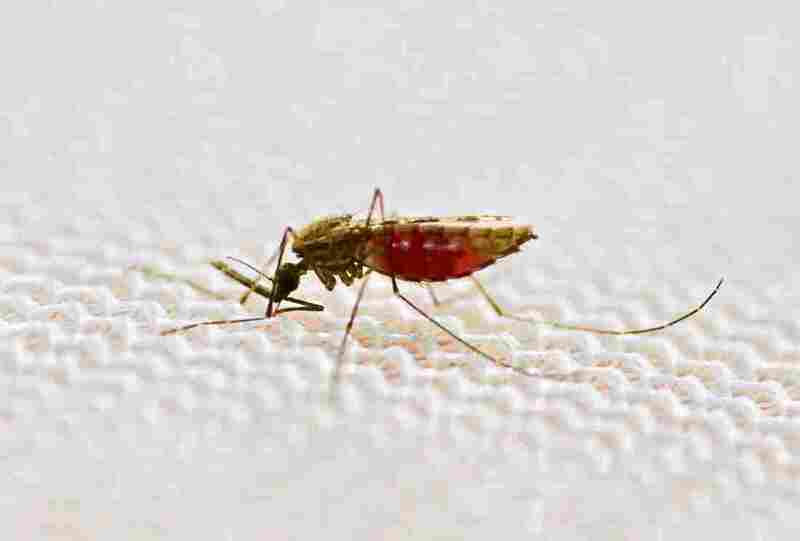 While control mosquitoes that were not exposed to antimalarial drugs were chock full of the parasites a week after the blood meal, none of the mosquitoes treated with antimalarial drugs harbored the parasite. None. "Mosquitoes land on this surface, bounce around on it for a few minutes and then simply did not become infected after a parasite-filled blood meal," says Paton. "We were hoping for an effect but were not expecting this kind of complete blocking of transmission." Paton says part of this effectiveness stems from the vulnerability of Plasmodium at the stage of its life cycle inside a mosquito. There just aren't nearly as many Plasmodium for the drug to kill inside the mosquito as there are inside humans, making it easier to wipe them out. Catteruccia says these results are a proof of concept that antimalarial-treated bed nets could be a powerful new tool. She and colleagues argue that adding both antimalarials and insecticides to bed nets could considerably improve control efforts. "We are at a stage in malaria control where we realize the necessity of additional non-insecticide tools," says Bhatt. "This study shows that antimalarials, in principle, could be put into bed nets and reduce transmission." Targeting the malaria parasite itself, rather than the mosquitoes, makes this intervention especially appealing to Bhatt. "Mosquitoes aren't the problem — the parasite is the problem," says Bhatt. "Because mosquitoes aren't harmed by this, there's no selection for them to develop resistance, resulting in less disruption to the ecosystem." Of course the parasite itself can evolve resistance, but Paton says this may be more manageable than insecticide resistance. It's easy to combine antimalarials, of which there are many, to counter resistance. Of course, it would need to be proved safe for humans and the environment, says Catteruccia. The drug they used in their study has already been approved for human use, which may speed up the process of further testing. Atovaquone is currently quite expensive, and a cheaper alternative is needed for this treatment to be practical, according to Bhatt. Finding an alternative is certainly possible, he says — and more important, "this study shows that, in principle, you can do this." "It's not a panacea. It's not a silver bullet," says Bhatt. "But the only bullet we currently have is waning in strength, and these results suggest a promising alternative."